Here, the outdoors is God, and its followers head into the wild interior each weekend to hike, ski, climb and kayak. The island offers some of the world's most exciting landscapes on a grand scale, where lava flows melt glaciers, giant waterfalls burst through igneous rock, thermal springs bubble away under freezing blizzards, and, on clear winter nights, the sky is swept with the radiant green of the Northern Lights. 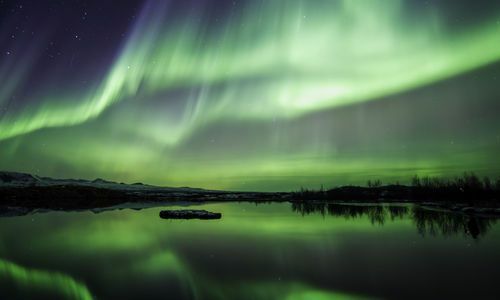 Our Iceland's Northern Lights & Winter Wonders itinerary is ideal to explore the aurora's ballet as it includes a stay at an isolated hotel with almost no light pollution, meaning clear, dark skies, and perfect weather for the lightshow to reveal its psychedelic colours. Iceland thrives in the winter season, but once it shakes off its dark nights, vibrant national parks and the midnight sun make for spectacular views and scope to explore even further. It's an ideal time for an epic self-drive, where you'll pass spectacular lakes, mountains and waterfalls. See this and more on our Highlights of Iceland Self-Drive or Iceland Express, where vast green landscapes give way to glaciers and an abundance of wildlife, including whales and puffins around the fjords. The capital Reykjavik is a gateway for the dramatic scenery. It's the most northerly capital in the world, and the famous Blue Lagoon and Gullfoss waterfall can be easily reached from here. Our Hotel Ranga and the Blue Lagoon itinerary encompasses visits to the lagoon and waterfall as well as outdoor hot tubs, horse riding and a chance to see the Northern Lights. Luxury accommodation such as this is on the up in Iceland, and recent innovations mean architecturally-designed hotels now exist in the most remote areas, such as the spectacular ION Luxury Adventure Hotel. 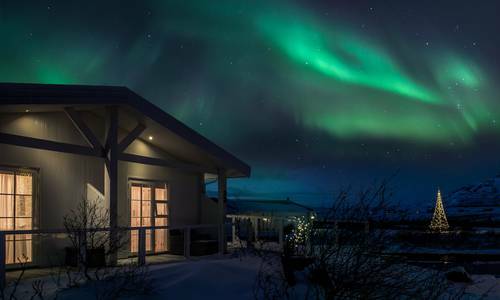 Here, Nordic themed rooms of concrete, blonde wood and soft sheepskin provide the setting inside, whilst outside, a vast, remote landscape gives way to the stunning show of the Northern Lights and the Golden Circle, the popular 300km route that loops from the capital into the southern uplands and back. 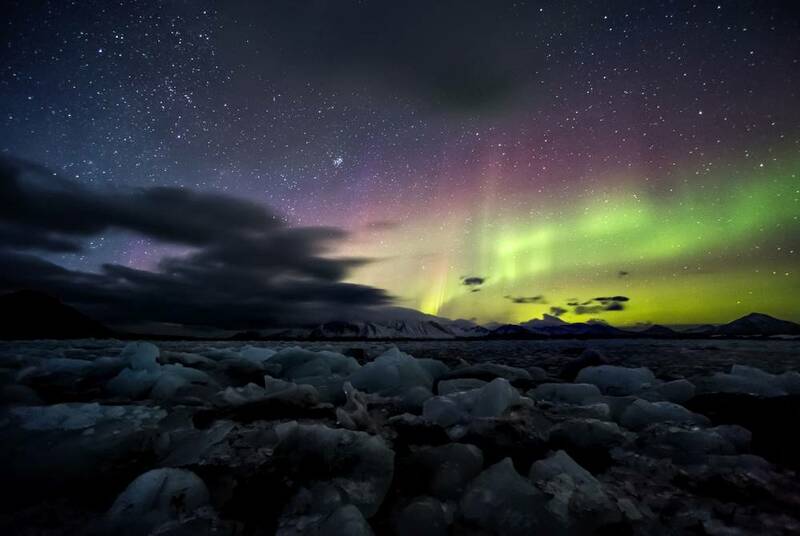 Whilst it's the most visited area in the country, the south of Iceland is not to be missed. The spectacular scenery includes the Geysir and the Pingvellir and Vatnajökull National Parks, the latter of which is home to the Vatnajökull Glacier, bigger than all other European glaciers combined. It's also home to the Breioamerkurjokull Glacier, where house-sized blocks of ice calve off and form icebergs. See all this spectacular scenery with our West and South Iceland Nature and wildlife break, ideal in any season, where you’ll also soak in geothermal pools, visit crater lakes and see whales and wild Icelandic horses. Even more rugged is West Iceland, the most westerly point in Europe, where a wild and largely untouched landscape plays host to fjords, foxes and Northern Lights that combine to form a spectacular landscape, with the Snaefellsjökull National Park, containing a 700,000-year-old glacier-capped stratovolcano, being one of the most notable. There are also wonderful orca whale-watching opportunities on the North Atlantic coastline, and it's home to Mount Kirkjufell, the emblematic mountain of Iceland. Explore the wilds of the west further with our Snaefellsnes and the West Fjords self-drive to really get off the beaten track. You’ll explore glaciers and dormant volcanoes, as well as seeing the 440m-high sea cliffs alive with puffins, gannets and razorbills, recognised as one of the greatest wildlife spectacles in the world. The majestic eastern fjords are found on the opposite east coast, framed by mountain peaks and vast black desert expanse. From the rust-coloured Lonsoraefi wilderness to the enormous glacial inlets, the east presents a continuation of this country’s epic landscapes. Explore it within the Highlands & lowlands of Iceland 9-day self-drive, where you’ll see the wild terrain of the Highlands and lava fields, and visit the horse-breeding valley of the Skagafjörður fjord. The north of the island might see fewer visitors, but still boasts dramatic landscapes to rival . 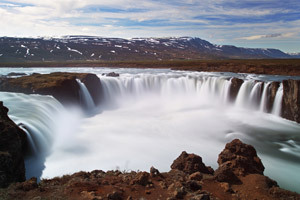 The scenic Diamond Circle route takes in the highlights; the geothermal Myvatn area, Dettifoss waterfall and sheer cliffs of the Asbyrgi crater. See it all on our North Iceland Odyssey, where you’ll whale watch, explore Siglufjörður, widely regarded as one of Iceland’s most beautiful towns, and visit Puffin Island where 30,000 puffins reside on the shores. 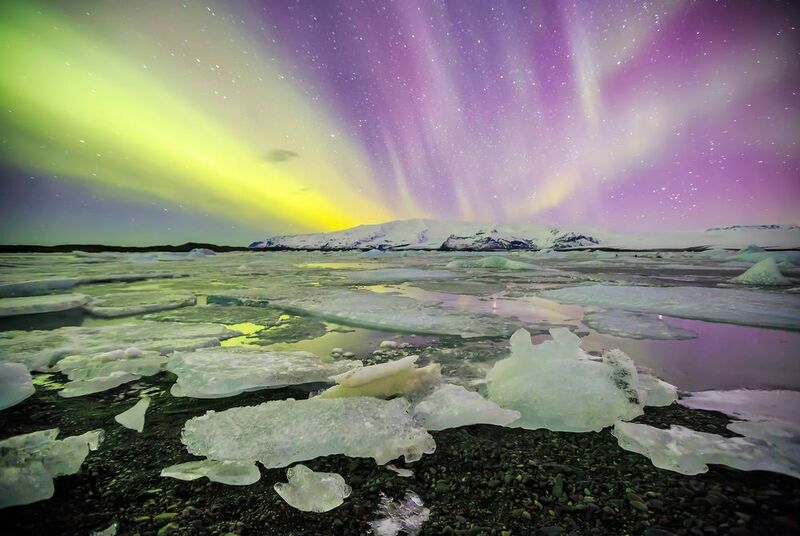 Get in touch with a tailor-made travel specialist today to begin planning your trip to magical Iceland. 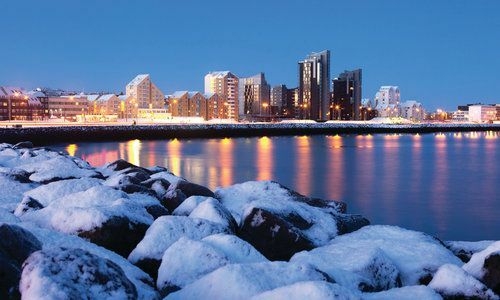 Despite being one of the smallest regions in Iceland, the southwest is home to the vibrant capital Reykjavik and some spectacular landscapes. 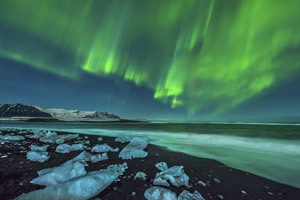 The world’s attention was focussed on south Iceland in the wake of the devastating Eyjafjallajökull eruption in 2011, which acted as a reminder of the country’s explosive past. Less popular and so less crowded, north Iceland nonetheless has a range of sights and landscapes that compare with the best in busier parts of the country. More adventurous travellers ought to venture to the western fjords in order to stand on Europe’s most westerly point and see sea birds in vast numbers. The eastern fjords are some of the most majestic and ancient landscapes in Iceland. Mountains, wide fjords, jagged peaks and large expanses of black desert compete for your attention.